It is with sad regret that the Henrico Police Division notifies you of the untimely death of career Communications Officer Christopher B. “Chris” Catlett. Chris passed away suddenly on March 23, 2013 after a brief illness. 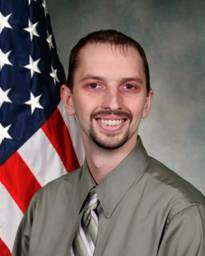 Chris served the Henrico Police Division as a Communications Officer for over nine years and will be missed by all. The viewing and funeral service will be held at the Bennett Funeral Home located at 8014 Lee Davis Hgwy, Mechanicsville, VA. The viewing will be on Tuesday March 26 from 4pm until 8pm. The funeral service will take place on Wednesday March 27 at 11am in the Bennett Funeral Home chapel. Interment will follow at the Hanover Memorial Park located at 4447 Mechanicsville Turnpike. Please continue to keep the Catlett family in your thoughts and prayers during this difficult time. Debbie Rae Thompson, age 61 of Tazewell, VA died Sunday, March 3, 2013 at her home. She was born October 27, 1951 at Squire, WV and was a daughter of the late Clyde and Mona Hunt Hardy. Debbie attended Big Creek High School in War, WV and was a member of the class of 1969. She was of the Baptist faith and enjoyed gardening, reading, and crocheting, but she mostly loved being with her grandchildren. Mrs. Thompson had worked for several years as a 911 Dispatcher with the Tazewell County Sheriff’s Office. Debbie was a member of the National Society of the Daughters of the American Revolution – Fort Maiden Springs Chapter. In addition to her parents she was preceded in death by one infant sister. Those left to cherish her memories include three daughters, Julie Anderson and husband, Jimmy of Simpsonville, NC, Mary Asbury and Karri Gregory, both of Tazewell, VA; four grandchildren, Elizabeth Gregory, Grace Richardson, Isaac Asbury, and Connor Gregory, all of Tazewell, VA; one sister, Bonnie Becmer and husband, Raymond of Sunset Beach, NC; special friends, Darlene Waddell of Bishop, VA and Christina Shinault of Richlands, VA; other family members and friends also survive. Funeral services for Debbie Rae Thompson will be conducted at 2:00 p.m. Thursday, March 7, 2013 at the Hurst – Scott Funeral Home Chapel in Tazewell, VA with the Rev. Chris White officiating. Entombment will follow at Grandview Memory Gardens Mausoleum in Bluefield, VA. Family and Friends will serve as pallbearers. The family will receive friends at the funeral home after 1:00 p.m. Thursday, March 7, 2013. Nicholas E. Stepaniak, age 31, passed away Saturday, February 2, 2013. Nick, the Assistant Communications Manager for Stafford County’s Emergency Communications Center, was an invaluable member of a select fraternity. He began his career in Myrtle Beach, SC, catching the “bug” that we all call dispatching. He moved to the Fredericksburg, VA area to be closer to family and soon became a dedicated and well respected member of a close-knit team. Nick was the consummate professional, always looking for ways to improve his skills and abilities while helping others to learn and perfect theirs. In 2010, Nick was honored by the Virginia Chapter of APCO as its Training Officer of the Year and was later selected as APCO International’s Communications Training Officer. As Training Officer for Stafford County, Nick not only developed an outstanding program while continuing to share his knowledge and expertise with others. 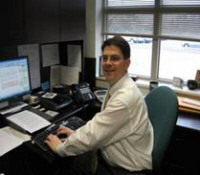 When the Regional Training Academy’s Dispatcher Program needed an overhaul, Nick participated in that process. His training program has been shared with colleagues in Virginia and across the country. It serves as a foundation for many agencies in the development and success of those who choose to enter the career of a public safety communications officer. Nick fought a long and courageous battle with cancer from which he succumbed to sooner than he or anyone expected. His wife, Brandy, so strong and stalwart was a rock in Nick’s life. With his strong support, she completed her education to become a Registered Nurse. With that skill and knowledge, she was able to provide the care he needed and so richly deserved; care delivered by the best RN. To see them together was to see and know two people who had a genuine love and respect for each other. Nick’s parents and two sisters can be very proud of their son and brother; an individual who was an example to everyone he came in contact with. A gentle man with a big heart, a strong desire to do the best job he could while continuing to grow and develop both personally and professionally. He left a positive impact on anyone he came in contact with. His can-do attitude was one that I have never seen and never expect to witness again. On Nick’s worse days, during chemotherapy in 2006 up until his death, he faced his health challenges head on. Rarely missing a day from work, he reported at times with a sock to warm his head and offered to provide a head sock to share the experience with co-workers on the midnight shift. Following major surgery this past December, Nick recovered quickly and reported back to work in just a couple of weeks. Maintaining his optimism through adversity Nick learned on Tuesday that his fight was unexpectedly being lost. While hoping for a miracle, his family, co-workers and the PSAP community showered Nick with thoughts and prayers, pictures, memories, accolades and all that could be done. The training center utilized by the 9-1-1 Center has been named the “Nick E. Stepaniak Communications Training Center.” (A formal dedication will occur at a future date.) He knew about this recognition and, in usual humble fashion, felt it was just too much. There was nothing we wouldn’t or couldn’t do to insure Nick knew how much he was loved, respected, appreciated, admired, and treasured both professionally and personally. The impact Nick has left here in Stafford was what you would expect to see from the greatest of men. He was, in the eyes of his public safety family, the most dedicated and hardworking individual. Always contributing. Always moving forward. Always wanting to help others. Always wanting to do more. Nick loved life and was a man of great character who was driven by the desire to represent the profession he loved so much while serving the citizens of Stafford County. Please keep his wife Brandy, his parents, his sisters, family and those in Stafford’s ECC in your thoughts and prayers. Stafford ECC staff will be wearing black ribbons until the day after Nick’s funeral. We invite you to join us. Further communication will follow with arrangements. The family will receive friends from 6-8:30 p.m. Wednesday, Feb. 6 at Covenant Funeral Service, 4801 Jefferson Davis Hwy, Fredericksburg, Va. 22408. Phone 540-898-4326. A service will be held at 10 a.m. Thursday, Feb. 7 at the funeral home chapel. Entombment will follow in Oak Hill Cemetery. The family will gather following the entombment at the Stafford County Public Safety Center, 1225 Courthouse Rd., Stafford, VA 22554. In lieu of flowers memorials can be made in his name to the Nick E. Stepaniak Memorial Foundation, c/o Larysa Rosemann Esq., 6931 Arlington Rd. Ste. 200, Bethesda, MD 20814. It is with great sadness that I announce the passing of one of our Public Safety Telecommunicators, Rena Scarbrough, who was admitted to Sentara Norfolk General Hospital on April 8, 2011. She was with our Norfolk Public Safety family for 27 years. Rena was passionate about her profession and truly cared for those she served and those served with. She passed away Monday surrounded by her loving family which included former Norfolk Police Officer Robert Scarbrough. Please keep Rena’s family in your thoughts and prayers that they may be comforted in the days ahead by her memory. It is with deep sorrow that we inform the chapter of the death of our dear friend and Past President George Thomas, Operations Support Manager of Chesterfield Emergency Communications. Please keep his family and his colleagues in your prayers. George was a graduate of J.R. Tucker High School and James Madison University. He was a past-employee of Henrico County 911 Operations and was presently an Operations Support Manager for Chesterfield County, and a member of Cambridge Baptist Church. George was an avid Redskins fan, who thought everyday was a blessing. Funeral services were held Tuesday, October 13, at Monument Heights Baptist Church, 5716 Monument Avenue. Donald Lee Scott, E911 Director and Emergency Coordinator for Lee County, passed away suddenly Saturday afternoon, November 7, 2009, at his home in Pennington Gap. Don was very active in the Southwest Virginia 9-1-1 Users Group and the RPAC-I. He was an active member in NENA and APCO since he began his duties as 9-1-1 Director for Lee County. Don worked very hard in developing the wireline 9-1-1 program for Lee County and was always wanting to learn more in order to bring the best system possible to Lee County. As Don would say “Virginia begins in Lee County, but it’s a long way to Richmond”. Despite the distance, Don worked extremely hard in developing the 9-1-1 system for Lee County. This was evident by his support and attendance to the Virginia 9-1-1 conferences and the TENA conferences in addition to calling upon his peers in the 9-1-1 community in Southwest Virginia. Our 9-1-1 family has lost a dear friend, comrade, and supporter.